The system allows the user to return a client's cheque (that was not deposited). This window displays all of the available client's cheques, according to the produced receipts. 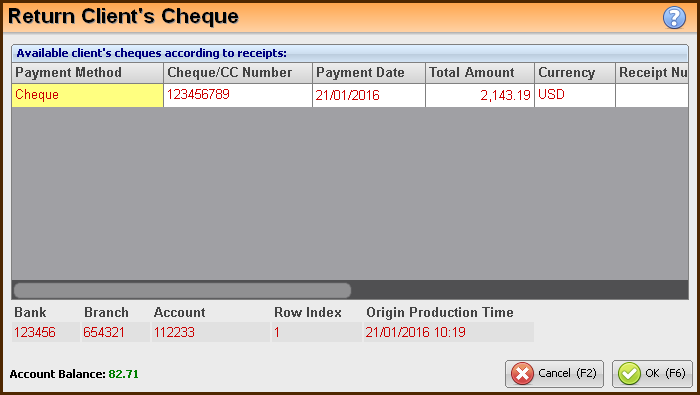 Select the required cheque record from the table and press the OK (F6) button. The selected cheque will be added to the Refund Items records.